I began with Brice Pauset’s (France) take on the legend of Orpheus and Eurydice. Every schoolchild knows (or ought to know) how Eurydice was trapped in the Underworld, which, as Pauset’s note points out, is “a place without colour or dimension”, where she was “existing as a shadow of her former self”. Orpheus goes to the rescue, but his impatience, and his love, cause him to look back before they have left the confines of Hades. The magic is destroyed: Eurydice returns to the eternal silence. It has been the subject of many art works including Gluck’s divine opera and Stravinsky’s Orpheus (1948). Brice Pauset has (to my ear) balanced the sadness, loss and desolation with the potential for salvation and love. There is warmth here, but ultimately it is overcome by tragedy and death. The sound-world of this piece for solo flute, is approachable and often quite moving. The last notes leave the listener in deep sadness and longing for a reprieve for Eurydice, which we know can never come. I moved on to American composer Evan Johnson’s Émoi for solo bass flute. This work was commissioned by BMI (Broadcast Music Incorporated) Foundation and the Concert Artists Guild and was specifically composed for the flautist Claire Chase. The word ‘émoi’ means ‘confusion, agitation caused by fear’. The liner notes, written by the composer, do not help understand the work (at least for the general listener). I found the work interesting insofar as the effects produced on the instrument are startling. But generally, it is not a work that I warm to: at just over 11 minutes, it seems to last forever. Swedish composer Esaias Järnegard’s (b.1983) Psalm (voice and contrabass flute) (2011) is his first attempt at fusing the poetry of Paul Celan with words written by the Swedish poet Lars Norén. He doesn’t tell us why. Alas, Métier have not provided the text of this work, so the listener is not able to get a grip on the progress or sense of the work. Once again, the programme note provided is abstruse in its explanation. The work is clearly ‘avant-garde’ in every sense – the flute and the voice are deconstructed to extinction. There are moments of beauty in this score, but also of unintelligible sounds. One thing is clear, Järnegard has created a unique sound world: one does wonder where he will go next with his Paul Celan project. I have never heard of the 13th century Ghent born composer Alexander Agricola (c.1456-1506) who lived and worked in France, Belgium and Italy. He is regarded as an important composer of secular songs. Listen to an example of his music on YouTube. Fabrice Fitch (1967) (from France) writes that his Agricola IX “draws inspiration” from these Chansons. There is another association: the artist David Smith (1906-1965) who created an ‘eponymous’ cycle of sculptures. The present work is scored for flute and string trio. The trio acts as a ‘resonator’ or ‘ground’ for the flautist rather than providing ‘commentary’ or ‘development.’ Use is also made by the composer of the “opening phrases of the rondeau by Johannes Ockeghem, ‘Je n’ay dueil que je ne suis morte.’” The progress of the flute music is characterised by deconstructing these phrases and introducing transpositions and utilising quarter tones. It is an enjoyable work, which does not need the allusions to Smith’s sculptures (Google them) to make it succeed. 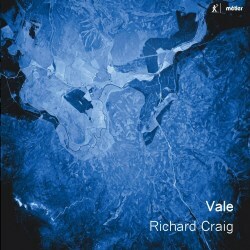 I was impressed by Welsh-born Richard Barrett’s Vale for solo flute. It is a long work that certainly matches the beauty of Debussy’s Syrinx or Messiaen’s Le Merle Noir. The concept of the work is ingenious: a string of leaves floating down the river. It is a clever conceit, as the leaves will move sometimes slowly, sometimes rapidly and occasionally will become obstructed. The flute “embodies several kinds of motion”, and the piece consists of 59 ‘movements’ of vastly different durations: the opening lasts for two minutes whereas some are over before they begin. Barnett exploits the capabilities of the flute with boundless imagination. John Croft’s Deux méditations d'une furie (soprano & bass flute) was composed between 2011 and 2013. The two movements are subtitled ‘par cette vie infirme et vacillante’ and ‘O phosphorescence.’ The text (provided) is extracted from Jean Tardieu’s theatre piece Malédictions d’une furie (A Fury’s Curses). The first piece (‘By this ailing and vacillating life’) is a “contemplation and reflection on impermanence, on the fleetingness of life”. The music is constantly trying to establish itself, but seems to fail. Flute and soprano “intertwine” but soon pass away into nothingness. It is constant death and decay – a “suddenly extinguished flame”. Yet somehow the music is not depressing: it has a strange, haunting beauty. The second piece manages to provide some form of hope and ‘redemption.’ The listener is encouraged to praise the “phosphorescence colour of sidereal night”, where ‘sidereal’ refers to distant stars and constellations rather than the solar system. It is a memorable piece that is challenging but certainly not unapproachable. The performances appear to me to be brilliant. The liner notes are helpful (except for the lack of texts for the Psalm). The notes (sometimes a wee bit over-intellectual) are provided by each composer with an additional overview written by John Hall. Brief notes about each composer and the musicians are included. This is an interesting exploration of modern music for flute, voice and other instruments. It is certainly avant-garde: it is never off-putting. I enjoyed and appreciated most of the pieces here, even if it is not exactly my usual musical fare.